If you have any questions, compliments, comments or suggestions, please contact us via your phone number or e-mail and we will respond as soon as possible. Dear visitors, welcome to the interactive map of the University hospital in Foca. By simply moving of the cursor over the map, locate department or service you need. 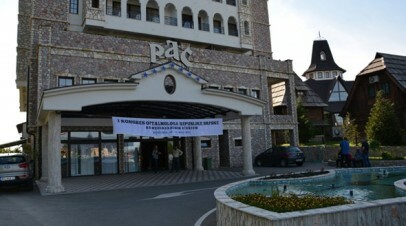 The first Congress of Ophthalmology was held in Bijeljina from 29th to 31st of May. 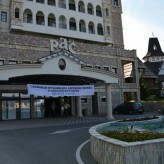 The Congress gathered more than 300 the most eminent experts from the country and region, but also from Slovakia, Czech Republic and Sweden. 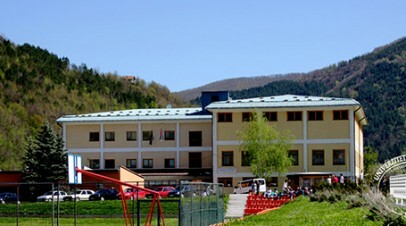 Studying on the third cycle of biomedical sciences will begin in the next academic year at the Faculty of Medicine, the University of East Sarajevo in Foca.The studies are licensed by the relevant ministry.The competition for the first candidates will be announced until October. During the previous 7 days, a great number of patients came in our hospital (Dermatovenerology Infirmary). The reason for their arrival in the hospital is a rash on the skin after the contact with the white moth. It is so-called ”zutotrb” (Lepidoptera, Lymantridae). 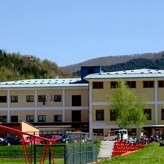 Due to the extremely high temperatures that are announced, the Ministry of Health and Social Welfare of the Republic of Srpska warned citizens that in the future, the less time spend outdoors, especially in the hottest period of the day from 10 to 17 o’clock. Recommendation for people is to stay indoors and to chill the premises, refrain themselves from physical labor, often shower with lukewarm water and take more fluids.